Saman ENT & Facial Plastic Surgery offers otoplasty to residents of Dallas, Plano, TX and the surrounding area DFW communities. Otoplasty, or ear pinning, can repair and reshape the ears as a viable option for people who feel their ears are too large, too small, stick too far out from the head, or are asymmetrical. These are all cosmetic reasons for choosing otoplasty. Ear surgery can also be medically necessary following trauma to the outer ear, a tear in the lobe, or stretched ears. Ear pinning can improve appearance and boost self-confidence of patients of all ages. Young and old seek out the guidance of a trusted plastic surgery, especially parents of a child with abnormally sized or shaped ears. Our board-certified otolaryngologist & head and neck surgeon, Dr. Masoud Saman, consults with parents of young children regularly as they trust his attention to detail and unparalleled expertise in surgery of the ears. 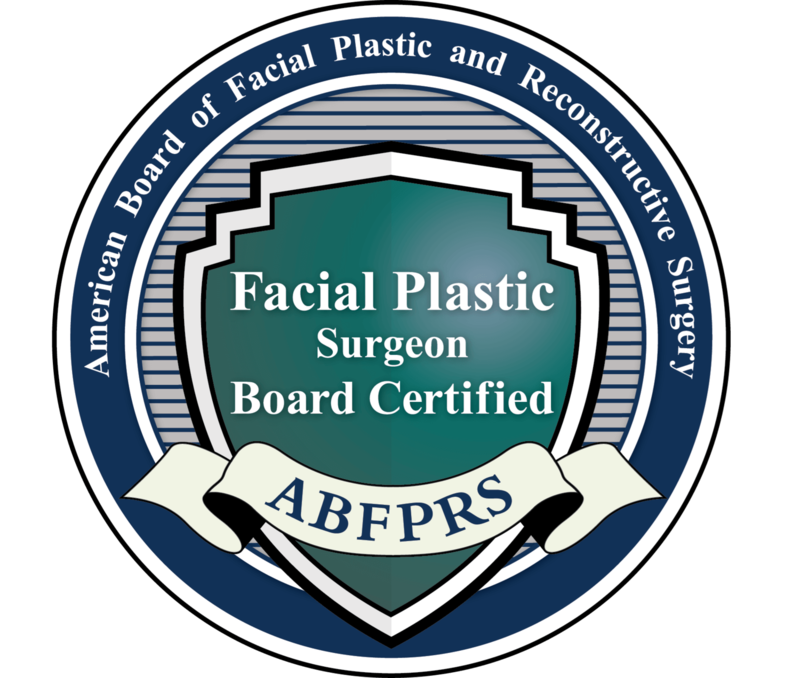 He also currently serves as the Medical Director of Head and Neck Oncological and Reconstructive Surgery at the Medical Center of Plano. Dr. Saman considers otoplasty a procedure for patients (as young as four) not to just improve a child's aesthetics. Otoplasty can also help your child to not be subjected to bullying and/or ridicule in school due to the size and shape of his or her ears. If you would like to consult with our compassionate surgeon, please call for a consultation at your earliest convenience. The otoplasty surgical technique has come a long way since this surgery was first introduced. To keep it as minimally invasive as possible, Dr. Saman makes a small incision along the natural fold along the back and front of the ear. The placement of the small incision will be based on the patient. Once Dr. Saman has reshaped or repaired the ear as necessary, he will stitch the small incision. If a skin graft is necessary, he will let you know what to expect ahead of time and do it all as one seamless procedure. Otoplasty is a fairly short surgery, usually taking under an hour to repair both ears and only 30 minutes for one. A local anesthetic will be administered in the ear to minimize any discomfort throughout the procedure. Recovery is typically rapid for patients and there is very little care afterward. If you’re considering otoplasty in the Plano or Dallas, TX, area, look no further than Saman ENT & Facial Plastic Surgery. Dr. Saman is committed to bringing his patients the best in both technology and compassionate care. Click here to learn more about our practice, including our financing and insurance policies. Contact us today to schedule your otoplasty consultation! Will My Surgery Last forever? We would love to tell you that the results are permanent, however, they are only long-lasting results. Why? As the patient ages, the skin ages as well. Otoplasty is no different than other plastic surgeries. Gravity and advancing age may shift the position of the ears as the patient ages; however, the majority of the initial surgery will last a long time and should not shift drastically. If you are worried that your child may be too young for ear pinning surgery, you would be surprised to find out that 4 – 6 years of age is actually an ideal time. The cartilage of the ear is more flexible at this age, which means it is easily reshaped and revised Many children come in for a consultation with Dr. Saman very eager to have the surgery. Why? These young patients no longer want to be teased by peers and others who like to point out their ears. Our goal is to provide young or older patients with ear surgery that boosts their self-confidence and improves their quality of life (especially by limiting bullies in a child's life). Should I have Surgery On Both? 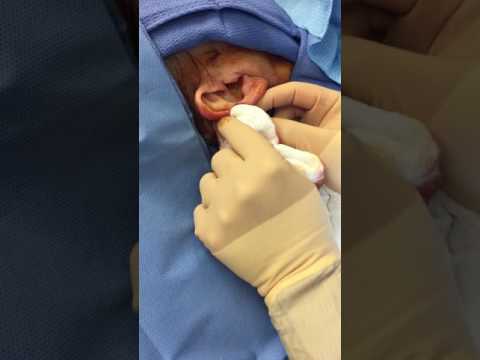 Sometimes patients are born with only one ear that sticks out, an ear is abnormally shaped, or the patient was in an accident that caused a deformity on one ear only. In the majority of cases, though, both ears are affected. Therefore, surgery is performed on both ears. However, there may sometimes be an abnormality in just one ear. If this is the case, surgery will be performed on the affected ear, which will be made to match the opposite ear.